Before implementing software testing strategy, the test managers and the testers collectively build a good test strategy and outline the same in a test strategy document. This document explains the entire testing approach. It consists of a strategic plan that showcases your objective and the method by which you will be achieving it. The test strategy indeed is a very critical document for the testing team. A well-developed test strategy will help to evade all uncertain and unclear requirements and build the fundamental structure of the software testing project. How to Write An Effective Test Strategy Document? Insufficient testing can result in nothing but wasted time, effort, and money. Unluckily, many businesses are not utilizing the full scope and potential of a test strategy document. Building a test strategy and creating a good test strategy document is not that difficult, but still many projects lack the same. Creating a best test strategy is important for plotting the testing plan and figuring out how the test efforts should be distributed throughout the entire project. 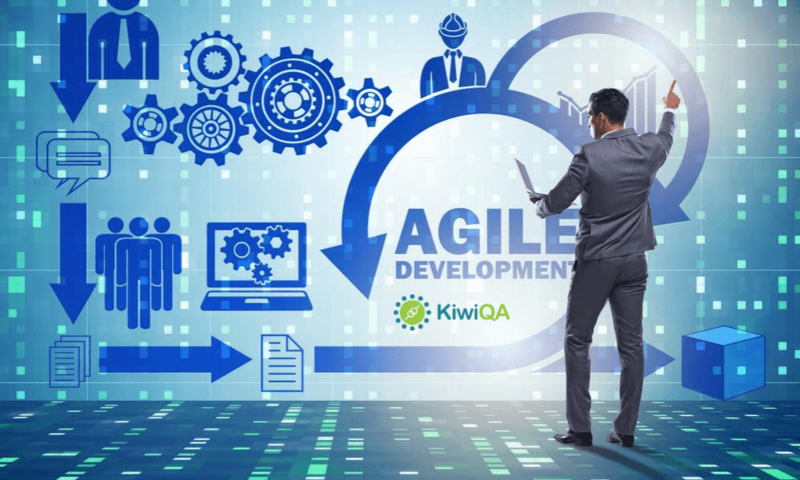 Generally, this task is carried out at the very beginning of the software development life cycle (SDLC) when high-level system processes and architecture are being studied. Every project comes with a different purpose and a different set of requirements. Your testing strategy is a very powerful parameter in deciding the success rate of your project. You need to understand the different elements of the test strategy document before plotting them. Here are the different parameters that you need to keep in mind before building your test strategy document. You should be clear about the primary objective of your testing before beginning with the project. If your objective is uncertain, you will just waste time and money beating around the bush. Risk management is something that cannot be ignored. It is a critical component of the software testing phase. You should analyze and understand all the potential risks thoroughly before the project begins to avoid project delays later in the future. You also need to scrutinize the current expertise that your organization has. You should have information about the knowledge possessed by each tester of your team. If there are certain skills that your testers lack, they can be given effective training for it to implement the same in the project effectively. Also Read: Top 10 Software Testing Myths You Should Ignore Right Now! Business consideration is quite important in developing an effective test strategy. Analyze and understand what can work best for your business profitability, and implement the things accordingly. You can also hire a software testing service provider company who can help you to build an excellent software testing strategy according to your business requirements. Consider treating the testing strategy as a software product and your team as stakeholders, allowing the members to give reviews at different stages. You may even collaborate with outside test specialists and consultants to help detect gaps and provide the best practices. Conduct productive workshops with the stakeholders as well as senior leaders. This will help in identifying the different challenges involved. Moreover, these workshops will make sure that your stakeholders have given their consent on the applicability of the mutually agreed upon objectives. All the final takeaways from these workshops can be very helpful for your testing team in outlining the criteria for the training as well as adoption within your enterprise. Although producing a standardized document is quite important, yet it should be done at the cost of the productivity, innovation, and individuality of your team. Hence, make sure that the minimum compulsory components have been included, along with the customized elements, which address the specific requirements of your organization. Customizations based on the software project can help to improve the overall process. Building the right test strategy is the initial basic step for developing an excellent end project. So, make sure you dedicate enough time and attention to it and come up with the best test strategy. Templates for test strategy are available everywhere. But, do not just blindly follow it without thoroughly understanding the objective and purpose of your project. Every individual project comes with its constraints. Hence, focusing on the aspects that best work for your project is essential. Don’t just copy any business or any specific standard for the sake of it.